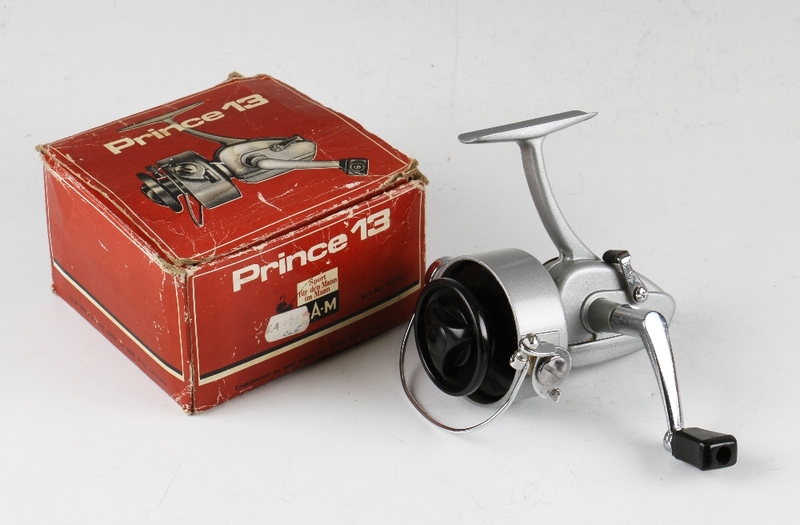 Collection of various spinning reels – some in makers boxes (5) – interesting J.W Young & Sons The Ambidex No. 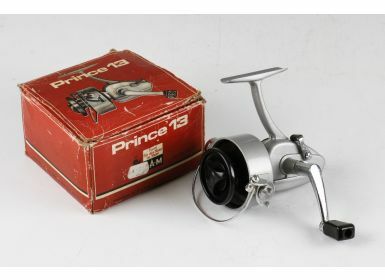 1 casting reel in black finish, half bale arm some paint lots to the rims and edges otherwise (G); Dam Prince 1013 grey finish would appear unused in mob; K.P Morritt’s “Intrepid Deluxe” with makers gilt plate and in original makers card box (G); 2x K.P Morritts Intrepid Elite - one in makers original plastic box the other with the makers label “This reel has a true Roller*in the Bail Arm closed quotes together with makers warranty the leaflets, spanner etc. one used.